July 24, 2018, 1:14 p.m.
By Christine Schmidt @newsbyschmidt July 24, 2018, 1:14 p.m. Pardon the irony of reading a more-than-800-word article about finding better story formats than 800-word articles. You see, while this might be a somewhat effective way for us to communicate with you, lovely Nieman Lab readers, it isn’t the most effective for the breadth of the BBC’s audience. Though journalists might be trained to write in chunks like this, some readers — especially young’ins — need information that comes in a more deliberate format. Some options beyond just publishing several hundred words: A highlight in an article that reveals context when it’s clicked. A video with a scrollable transcript that speeds up or reverses the video, too. A movie-trailer-like intro, drawing readers into the setup of the story. A re-enacted text exchange between a journalist and a source live from the scene. 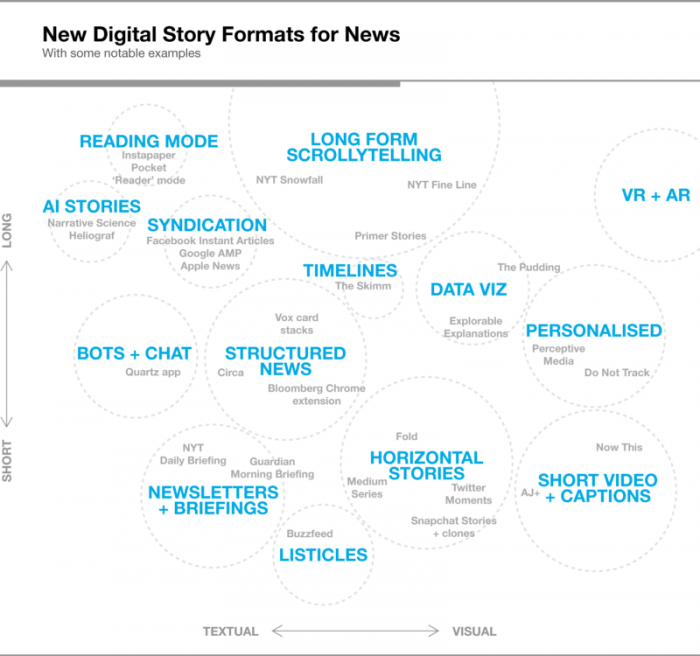 Many news organizations are looking to move beyond text. 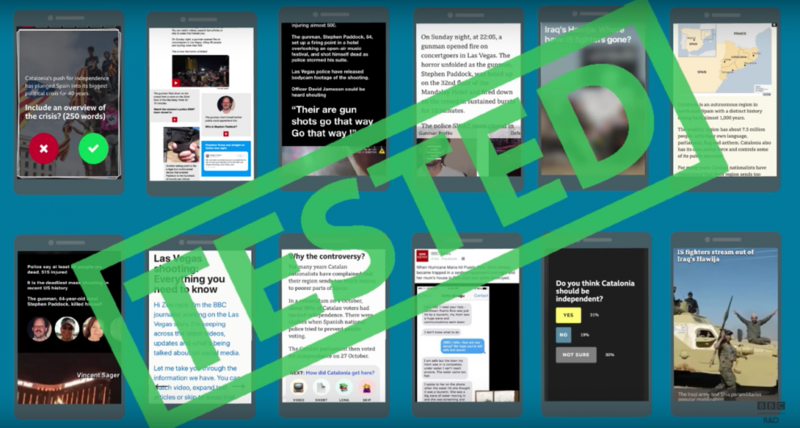 The Guardian Mobile Innovation Lab, which operated for two years, tested an interactive podcast player, “Smarticles,” an offline news app, and live push notifications. Newsrooms like The Washington Post have been experimenting with AMP stories boosted by Google’s toolkit, similar to Snapchat or Instagram Stories. The BBC has also been working on more exchanges with its audience like in-article chat bots and improved vertical video within the app. Ferne and his four-person team — one journalist, one designer, one user researcher, and one developer — spent two months experimenting with 12 prototypes, all intended to move the BBC beyond standard 800-word articles. They used “a bit of guerrilla testing on the streets of London near universities,” and also tested things out on a group of 26 18- to 26-year-olds (that’s Generation Z, by the way). Here’s some of what they learned (and more is here). The Expander — This superhero-sounding item is already in use at other outlets, like The Guardian, and Ferne said it’s going to be tested on the BBC’s site starting next month. When readers see a yellow ellipsis after a key term/event/name/etc., they can click on it to pop out some more information. (Two examples in a piece about Catalonia independence: The definition of sedition, and an explainer on the Catalonia region.) The Expander and the next prototype are the only two that can reuse news items, assuming the information is still accurate and relevant. The Incremental — (Do these all sound like superheroes or is it just me?) The audience favorite, this choose-your-own-adventure style format can indeed reuse content, but requires a heavy editor lift by creating the same content in various forms. The story is segmented with options for a video clip, short-, or long-text route for the next segment, or you can skip the next part entirely. 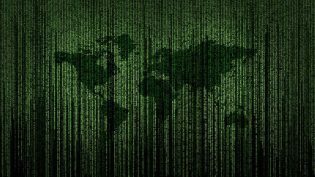 “We think it could be a kind of longform by stealth — a way of engaging people put off by long articles or lots of sidebars and related article links,” Ferne wrote. Fast Forward — Scrollable. Video. Synchronized. To. The. Transcript. It’s like subtitles, but actually useful for moving around in the video without missing a segment or nudging your thumb juuuuust too far to the right. Skimmable video? Yes please. Viewpoints — This reminded me of Snapchat’s polls in the Good Luck America series, where, after diving into issues like the removal of Confederate statues, users were prompted to vote on their conclusions. For the BBC’s Viewpoints, users encounter an introduction to a topic followed by short videos of people describing their opinion, either for or against. Then the users are asked to weigh in. Imagine a Tinder-inspired Opinion section 2.0 of a news website, but with less nasty commenting and more putting-a-face-to-an-issue-ing. Atmosphere — Setting the stage with background audio when users started reading an article was too distracting for testers. “Young people are trying to navigate a difficult path between information overload and FOMO,” Ferne wrote in the post-mortem, and the addition of audio created sensory overload too. Messages — In a generation already fraught with anxiety, inviting users to watch a reenactment of a WhatsApp conversation between a journalist and their source in a disaster zone wasn’t exactly the biggest hit. “It was authentic and raw and captured people’s imaginations, but it was too distressing,” Ferne admitted. The R&D team’s year-long hunt for feasible new story formats wraps up in September, though its contributions to the storytelling scene are ongoing. The Expander will begin its pilot next month and further prototypes may be rolled out after further testing, Ferne said. Other BBC teams are continuing work on voice prototypes and chatbots, and of course they have some folks thinking about the ethics of all this journalism technology too. Now vote: Which format do you think this article should have been in, instead of 1,156 words? 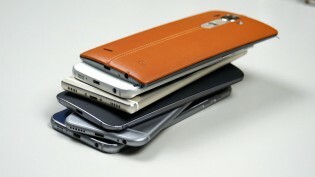 Image from the BBC’s video explaining the prototypes. POSTED July 24, 2018, 1:14 p.m.
Schmidt, Christine. "12 prototypes, eight weeks, and lots of tapping: What’s worked (and hasn’t) in the BBC’s quest for new storytelling formats." Nieman Journalism Lab. Nieman Foundation for Journalism at Harvard, 24 Jul. 2018. Web. 19 Apr. 2019. Schmidt, Christine. "12 prototypes, eight weeks, and lots of tapping: What’s worked (and hasn’t) in the BBC’s quest for new storytelling formats." Nieman Journalism Lab. Last modified July 24, 2018. Accessed April 19, 2019. https://www.niemanlab.org/2018/07/12-prototypes-eight-weeks-and-lots-of-tapping-whats-worked-and-hasnt-in-the-bbcs-quest-for-new-storytelling-formats/.